If you click on the "cash for clunkers" site of the government to get information, a warning comes up saying that if you continue to the next section to find out answers to your question YOUR COMPUTER instantly BECOMES A FEDERAL COMPUTER AND EVERYTHING IN IT BELONGS TO THE FEDERAL GOVERNMENT AND THEY CAN ACCESS and USE WHATEVER THEY FIND ON IT AND MONITOR YOUR ACTIVITY!!!!!!!! FOREVER!!!!!! 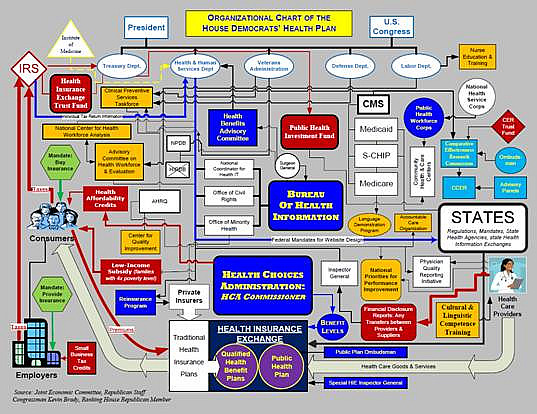 Does any of this register in the minds of Americans? Can you not see all the hidden take over clauses inserted into various pieces of legislation that enslave you and allow the government to do with you as it wishes and as with any Marxist or Socialist administrative set up, it's good for them and not good for you. Those of us with international experience will spot this but most Americans are born, live and die within 25 miles of where they were born and have NO CLUE of other places, rulers and governing ideologies so are like deer in the headlights. 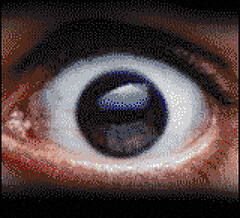 Another predominant theme woven into various legislations already approved or going through Congress, sets up huge organized BRAINWASHING of children, of adults or families, where they are taught how to think and are forbidden to think or say anything outside the imposed parameters by thought police and family counselling and youth camps. WHO IS THE MAN IN THE OBAMA HOUSE? A challenge to Bill O'Reilly I have a challenge to my old buddy Bill O'Reilly – put up or shut up! You told your viewers this week that challenges to Barack Obama's constitutional eligibility are "bogus." You claimed you and your news organization examined Obama's birth certificate last year and found it to be in order. Can I ask a question, Bill? Why don't you simply reveal to your viewers exactly what you saw and what you found? Fox News Channel's slogan is, "We report, you decide." Why don't you try actually reporting the story, rather than deciding for us? Here's the story, Bill, whether you recognize it or not: Tens of millions of Americans have serious doubts about Obama's right to be in office. They are concerned that the system broke down and did not require proof of his constitutional qualifications. They don't want double talk like they've been getting from politicians and the media elite. They don't want more platitudinous assertions. They don't expect to have their well-informed suspicions be ridiculed by the likes of you, Shepherd Smith, Chris Matthews, the New York Times, the Associated Press and the rest of the media monopoly singing in harmony. 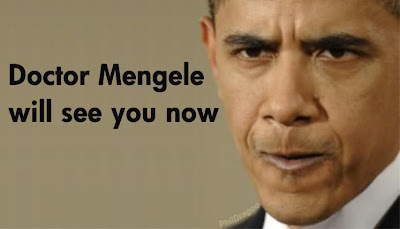 The American people have figured out what you apparently are unable or unwilling to discern: Obama's hiding something. One of the somethings he is undoubtedly hiding is his birth certificate. I will go also out on a limb, Bill, and proclaim that you were, shall we say, disingenuous when you claimed to have inspected Obama's birth certificate. If you got your hands on it, why didn't you show it to your viewers? If your goal is, as you state, to put an end to a bogus story, the obvious way would have been to share with your audience what you saw. I don't think you saw anything, Bill. I think maybe you saw the same thing all of us have seen, "ad nauseum," to quote Press Secretary Robert Gibbs. I think you saw the certification of live birth – a totally meaningless document with regard to proving presidential eligibility. Why is it meaningless with regard to proving constitutional eligibility as a "natural born citizen"? Simple. There were numerous easy ways to obtain one without being born in Hawaii! What about the other heavyweight evidence cited as conclusive by people convinced that "birthers" are just a bunch of fruit loops? Those would be the two newspaper birth announcements appearing contemporaneously in two Hawaii dailies. Surely that settles the matter? No, it doesn't. In fact, the newspaper ads were less meaningful than the certification of live birth because they were automatically generated by the issuance of that document. So far, after listening very carefully to the case for Obama's Hawaiian birth, that is the totality of evidence I have heard. Do you have anything else, Bill? What did your crack research team find? The people have a right to know. Knowing what I have just told you, how is it possible you can be 100 percent convinced Obama was born in Hawaii? And, even if you are, what's wrong with Obama springing for $10 and getting a copy of the original long-form birth certificate for the rest of us? I'll go further, Bill. I think you liked taking a cheap shot at your worthy and honorable competitor at CNN, Lou Dobbs. Dobbs has showed great courage and independence in taking on a story against the public wishes of his network brass and bucking the tide of his entire industry. You ought to admire that, Bill. You ought to emulate it. Furthermore, I think you chose the easy road on this story because you are sucking up to Obama in hopes of another one of those ratings-generating exclusive interviews in which the American people learn nothing. That's not good journalism, Bill. Journalism is comforting the afflicted and afflicting the comfortable. Journalism is serving as a watchdog on government and other powerful institutions. Where's the fairness, Bill? Where's the balance your network promises? Where are the articulate voices who have a question for which there is no answer forthcoming: "Where's the birth certificate?" You have chosen to join the state-run media pack and mock the genuinely civic-minded concerns of the people. For that there is no excuse. Bloviating, to use one of your favorite words, is no substitute for honest reporting. You can't see that Obama is hiding something – hiding lots of things? His birth certificate, his school records, his college records, his law school writings, his selective service records, his travel records, his adoption records, his finances. Come on, Bill? Is it worth it? Where is the integrity? What do you know that I don't know? My news organization has devoted far more time, effort, resources, manpower and sweat in investigating this story than your very wealthy media conglomerate. What do you think you know that I don't know? Why are you aiding in one of the biggest propaganda cover-ups in American history? The American people had high hopes for the Fox News Channel and shows like yours. But they have failed us in telling this most important story. Our country is being transformed rapidly by an administration that is of highly questionable legality. This is no joking matter. This is a trend we are seeing more and more as protesters become active and vocal against Obamas policies. Wednesday, Baton Rouge, Louisiana police threaten to arrest anti-Obama people, who just wanted to TALK to people at a town hall about the downside of Obamacare. But because the ACORN Community Organizers dont like different points of view, and Louisiana is home to the SEIU, ACORN, and its alphabet soup of branches, they push the police into saying SHUT THE F--K UP, Patriots. You may not speak to the worshipers. This weekend, nationwide door-to-door campaigns and protests were held to educate and listen to the public on healthcare, cap and trade and more. The American people who do NOT want these policies are in the majority and are growing every day. But for Barrys minions, it is: No. Dissent. Allowed. If you disagree, you are RACISTS. Obamas Redshirts are here. These women were warned that exercising their right to free speech would result in arrest. Time is ticking away, and communism is pounding on the door. Time for each of us to carry his or her own water. Time to stay off the couch. The idea that certain segments of society must be treated deferentially, in order to prevent them from committing violent acts against people exercising their rights under the Constitution, should be abhorrent to all Americans. The fact that it isnt, is an indication of the tremendous success that socialists/communists have had in brainwashing the population. 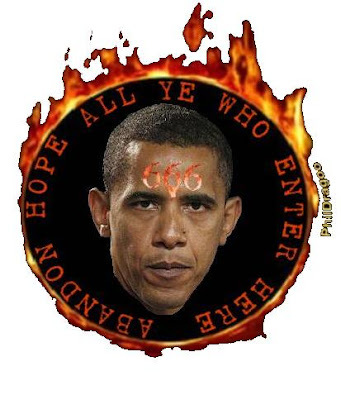 DID JESUS WARN US OF THE ANTICHRIST? 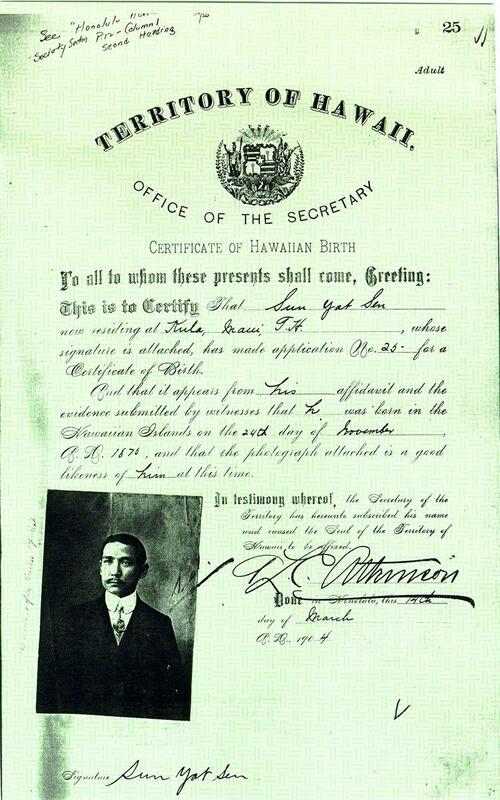 Sun Yat Sen, clearly Chinese and born in China also has a Hawaiian Birth Certificate, so Obama's proves nothing either. LISTEN TO THE TRUTH OF THE BAD OBAMA HEALTH PLAN BEING HIDDEN FROM YOU WITH LIES -- LISTEN VERY CAREFULLY!!! WAR ON SENIORS AND THE SERIOUSLY ILL. ESTIMATED INCREASE OF THOSE WITHOUT HEALTH INSURANCE WILL RISE TO OVER 80 MILLION PERSONS (FROM ABOUT 25 MILLION NOW, INCLUDING ILLEGALS). MORE FALSE HOPE AND TERRIBLE OBAMA CHANGE CLAIMS BASED ON LIES. LEARN TO DIE QUICKLY! The Iranian anti-mullah movement is taking an ever more determined stand and are organizing demonstrations not only inside Iran but throughout America and parts of Europe. A major project is underway (the reason for the Email title this article (contact to the organizers of the project, Pars TV) which is planning a march (by bus) on Washington D.C.- in front of the White House. Disappointed by Obama's mealy-mouthed refusal to suppport freedoms sought by the student demonstrations and supporting instead the Mullah regime in Iran and encouraged by the recent 50,000 or so person march in Los Angeles from the federal Building to Santa Monica, they are obtaining permits all along the route to stop at every Federal Building in each city that has one, on the way to Washington D.C. Exact dates and cities will be announced once they have the permits. The plan will encourage attendance at each venue and snowball participants all along (adding more buses as needed) so as massive a group as possible arrives at the destination. Cities close or north of DC will follow suit and provide spokes of participants, who are invited to attend from all and any political predelicion or philosophy as long as it stands for freedoms and stands against the Mullah regime. While the man thrust is for iranians to join in,nobody gets turned away and all supporters are welcome. Gathering at Federal Buildings simplifies and removes the need to designate different kinds of meeting places at each stop. One question arises. Who is footing the bill? In French they say "cherchez-la femme" (find the woman) to get to the source of a situation, here in America we say "follow the money". While there are multitudes of affluent Persians in the USA not enough of them have the means or time to spend 22-days travelling cross country covering the expense of paying for their own hotels and meals to create decent demonstrations at the various en route stops. The cost estimate would translate to several million dollars at the every least and tens of millions if the number of participants in this cross country caravan of buses is sizeable enough..
By Kelly Anderson Wright Yes, I said it: Obama is a racist. As the white, conservative mother of black/Mexican/white children, I know a racist when I hear one. So is his buddy, Henry Louis Gates. Don't let these two Ivy League-educated, erudite, distinguished black men convince you that only whites can be racists. Believe me, these two men are the worst kind of racists: black and elitist. According to the Oxford English Dictionary, a racist is someone who believes "all members of each racial group possess characteristics or abilities specific to that race, especially to distinguish it as being either superior or inferior to another racial group or racial groups." When Sgt. Crowley investigated a possible burglary at Prof. Gates' Cambridge home this week, Gates met a white cop at his door and evidently assumed Crowley was a bad cop, a rogue, a racist cop who would treat him differently than any other suspected perp, just because he was black. That's racism, folks! What did Gates do when faced with a police officer investigating a burglary in his home? Was Gates polite and courteous to the cop? Did he cooperate and step onto the porch out of the darkened home so Crowley could see his face and ID? Did he calmly explain why a passerby saw him breaking in, if, in fact, it was his own house? Did he speak or act like the esteemed scholar and professor his ID claimed him to be? Nope. He was belligerent, accusatory, uncooperative, irrational and defamatory, throwing racial slurs at the white officer, even insulting the cop's mother (as in, "Yo momma is so..."). If ever a man did NOT act with Harvard professorial dignity and decorum, if ever a black man acted like a thug from the ‘hood, Gates did. Is it any wonder Officer Crowley asked for more ID, one that actually listed that house as his address, or asked for another person to corroborate Gates' identity? I would, wouldn't you? And when Gates refused, and became so incensed and insulting to the Sergeant who was there to protect his property that a crowd grew around his house, was Crowley supposed to allow this kind of behavior, just because Gates was black? No. He arrested Gates for disorderly conduct, as he was trained to do. Last time I checked, police arrest people regardless of race when they act like crazy people in the presence of peace officers. So why is President Obama a racist? Because he, like his friend Gates, automatically assumed the white police officer "acted stupidly." BO assumed it was the white officer's fault, because, of course, we all know white cops are racist, right? And later, when he slightly retracted his statement, he still felt the need to say, "It would have been better if cooler heads had prevailed." By now he knew the facts, that his friend Gates had lost his mind and acted like a fool, but he assumed that Sgt. Crowley similarly lost it and "got all up" in Gates' face, because, of course, that's what all white cops do. But this white cop didn't, because he's not just any cop, he is an expert at managing racial incidents just like this one became, because of Gates' racism. Friends and fellow officers of all races say Sgt. James Crowley is calm and reliable in situations racially hostile situs, because he was hand-picked by a black police commissioner to teach recruits how to avoid racial profiling, and Crowley has apparently been doing a stellar job at it for 5 years. But Gates and our esteemed president didn't know that, did they? So, who are the racists in this story? Gates accused a decent, decorated, above-reproach police officer of being a racist rogue cop, just because he was white. What did our esteemed "black" president do? He immediately took Gates' side, because he's a friend and black! Um, Mr. President, I thought you were going to help erase the racial lines that divide us? Shame on you for taking sides on something you admitted you knew nothing about, for commenting nationally on a small, local issue well beneath your pay grade, and for showing us all that you are not that different that the racist Gates who believes all white cops are bad cops, just because of their skin color. Mr. President, you are a racist. Shame on you. ======================================= And you were doubly upset it was your philosophical Marxist soulmate whom you thought was "dissed" whereas it was your man who did the "dissing". Shame on America for voting for you! And your racism does not end here. Your disdain or racism toward Jews leads you to try to replace the long standing American ties with the Jewish community and Israel with a Moslem one by appointing fervent Moslems into top positions of policy power in your Admnistration.. You forcefully meddle in Israeli sovereign rights, telling them they cannot build homes on Jewish territory, are outraged and threaten the Hondurans for ejecting a Communist drug connected President while REFUSING to meddle in Islamic Iranian brutal repression of freedom fighters, who have been killed in droves and thrown into food freezers to hide the bodies. 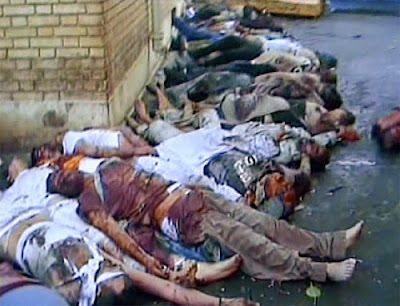 The mass executions of political prisoners in the infamous Evin prison as evidenced in the photo below leaves you unmoved and not ready to confront the bloodthirsty Mullahs who took so much trouble and offered you so much financing and treasure to elect you - AND IN SOME OPINIONS HAVE SOMETHING IN THEIR HANDS WITH WHICH TO BLACKMAIL YOU. This is yet another reason for you to produce your birth and other requested documents to show you have no vulnerability opening you up to blackmail by enemies of the USA - even if they do not strike you as being your enemies. Or you even consider them your friends anyway. The only Lincolnian aspect that applies to you is that you can fool all of the people some of the time, some of the people all of the time BUT not all of the people all of the time. And your time of fooling us appears to be reaching an end. OBAMA: "HOW DARE YOU TOUCH MY HERO, RACIST, MARXIST, SOUL MATE, HENRY GATES? ---------------------------------------------------------------------------- MINORITY REPORT Meet the man at center of Obama's race controversy Gates immortalized communist, linked to radical black activists By Aaron Klein Henry Louis Gates Jr. JERUSALEM – Henry Louis Gates Jr., the Harvard professor at the center of the current national race controversy, has recruited radical black activists to his university department, is a prominent supporter of reparations for the descendents of slaves and has immortalized a communist and socialist activist. Since 1991, Gates has been teaching African American studies at Harvard, where he serves as the director of the W. E. B. Du Bois Institute for African and African American Research. De Bois, an American civil rights activist, sociologist, historian and author, was an avowed communist and also a socialist sympathizer. Du Bois was for a brief time a member of the Socialist Party. In 1927 he infamously traveled to the USSR, where he called the Soviet system "the most hopeful vehicle for the world." Eight years later, he published the book "Black Reconstruction," which offered a Marxist interpretation of the Reconstruction Era. The leftist icon officially joined the communist cause in 1950, when he ran for the New York State Senate on the American Labor Party ticket. He lost the election, but eight years later joined Trotskyists, ex-communists, and independent radicals in proposing the creation of a united left-wing coalition to run for seats in New York State elections. Du Bois joined the Communist Party USA in 1961. He emigrated to Ghana, where he became a naturalized citizen, living in the country's socialist police state. Two years later, the Communist Party named its new youth group the W.E.B. DuBois Clubs. Serving as director for the Harvard institute immortalizing Du Bois, Gates cultivated black radicals to his race studies department, most prominently bringing in Cornel West, a controversial adviser on Louis Farrakhan's Million Man March with close ties to socialist and black extremist groups. West is a declared personal friend of Farrakhan. Gates also lured to Harvard socialist sympathizer Kwame Anthony Appiah, a Ghanaian philosopher, cultural theorist and novelist, as well as William Julius Wilson, who is close to the Democrat Socialists of America. Gates authored two books with West, a long-time member and honorary chair of the Democrat Socialists of America. West served on the black advisory board of Obama's presidential campaign. From a young age, West proclaimed he admired “the sincere black militancy of Malcolm X, the defiant rage of the Black Panther Party … and the livid black [liberation] theology of James Cone.” Cone's theology spawned Rev. Jeremiah Wright, Obama's controversial pastor for 20 years at the Trinity United Church of Christ. West was a strong defender of Wright when the pastor's extreme remarks became national news during last year's campaign season. Gates himself is a strong supporter of affirmative action and a key member of the reparations movement for the descendants of African slaves. He joined an effort to bring a class action lawsuit for reparations and reportedly has been working privately to urge political and business leaders to keep the issue of slavery at the forefront of social-justice discussions and to support his campaign for reparations. One of Gates' major sources of intellectual inspiration is Herbert Aptheker, a seminal scholar of African-American history who was a radical American leftist. Aptheker was for decades a leading theorist of the Communist Party U.S.A. before resigning in 1991. Gates was quoted stating Obama's election last year rivaled the day in 1862 when President Abraham Lincoln issued the Emancipation Proclamation and the day 101 years later when the Rev. Martin Luther King Jr. delivered his "I Have a Dream" speech. "There's never been a moment like this in our lifetime, ever," Gates said. Barack Hussein Obama's "birthday" is coming up in just two weeks -- on August 4th... so we have a special birthday surprise planned for him, and I would like YOU to take part. Columbia University senior thesis, "Soviet Nuclear Disarmament"
By the way, the issue of the Occidental College records is especially pertinent. The United States Justice Foundation (USJF) served officials at Occidental College with a subpoena to produce records concerning Barack Obama's attendance there during the 1980's, because those records could document whether he was attending as a foreign national. You see, Mr. Obama attended the school on a scholarship -- and there are questions as to whether the financial aid he received was reserved for foreign students. The Obama attorneys have bent over backward to block us. He doesn't want anyone to see those records. He's STILL trying to hide them; those financial records STILL have not been released. WHAT is Barack Obama trying to hide? WHAT is he afraid of? WHY doesn't he just release these documents to prove that he is a natural-born citizen and, therefore, qualified to serve as President -- especially his actual birth certificate? Isn't it time we FORCED him to come clean? His "birthday" is the PERFECT time to do it! I dared bring Barack Obama into court to force him to produce his birth certificate, and put an end to the controversy over his status as a "natural born" citizen once and for all. And now he's coming after me and the United States Justice Foundation (USJF) -- the public-interest legal group that I founded over 30 years ago -- with a vengeance! Why? Because we dare to seek the TRUTH! And they must have something to hide, because Mr. Obama's attorneys have threatened to spend, and then sanction, USJF out of existence. That's why USJF has started efforts to convince State Attorneys General, all across the country, to investigate whether Barack Obama has committed perjury by knowingly filing false nomination papers... claiming to be constitutionally eligible to run for, and serve as, President of the United States. As you know, the available evidence shows that he was born in Africa. 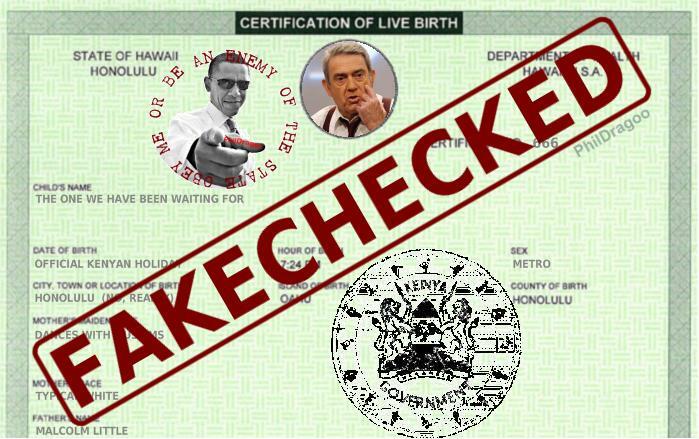 Frankly, the evidence that Barack Hussein Obama was born in Africa -- not Hawaii as he claims -- and, therefore, cannot serve as the President of the United States, is compelling. First, Mr. Obama's refusal to release his birth certificate. If he has nothing to hide, what does he gain by refusing to allow the press to see the birth certificate? Second, the contention by Barack Obama's half-sister, Maya Soetoro-Ng, that Mr. Obama was born in a particular Hawaiian hospital, only to claim that it was in a different hospital several years later. And, most recently, Barack Hussein Obama has contradicted himself, in writing, regarding the name of the hospital where he claims to have been born. Third, the erecting of a wall around Barack Obama's grandmother, the late Madelyn Dunham, by Mr. Obama, thus cutting off access to the one person then alive who would have been present if he was actually born in Hawaii. Fourth, the posting of law enforcement personnel at the two hospitals in Honolulu mentioned by Ms. Soetoro-Ng in an effort to block the press from discovering the truth about the birth certificate. Fifth, a taped phone conversation with Mr. Obama's step-grandmother in Kenya, who claims that she was present at his birth... in what is now called Kenya! Sixth, the "birth certificate" posted on the Obama campaign website and other liberal websites. Since Barack Obama was born in 1961, long before laser printers and office computers, his original birth certificate would be typewritten ... unlike the laser printed "copy" purported to be genuine. The evidence demands that Barack Obama answer why he has been hiding the truth from the American people about his eligibility to run for, and serve as, President! It's TRUE. Not only does Mr. Obama continue to categorically refuse to produce the decisive evidence proving whether he is a "natural born" citizen, his high-priced LA-based "dream team" of attorneys has USJF squarely in its crosshairs! And they're loading both barrels! We have initiated a campaign demanding that every State Attorney General in the country take action now to force Mr. Obama to just show us the TRUTH. 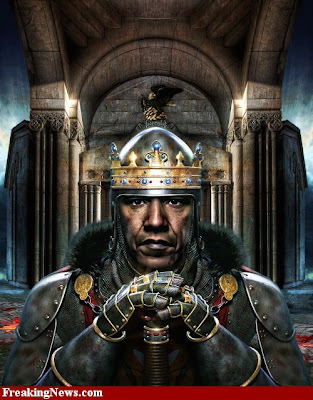 You see, when Barack Obama officially entered the office of President, he became, in essence, a "pretender to the throne." According to the Constitution, only a "natural born citizen" can occupy the presidency. Even though he was sworn in on January 20, 2009, Barack Obama is NOT legally the President of the United States, unless he can prove that he is a "natural born citizen." What's more, every action taken by him while he occupies the White House may be invalid. If he cannot legally be President, every law passed by Congress will be null and void because the Constitution clearly requires that all laws be signed by the President... and, without a legally elected and sworn in President in office, that becomes an impossibility. Quite frankly, this crisis must be ended! And it must be ended NOW! And that's just what we're fighting to do. The United States Justice Foundation is spearheading a campaign to protect the United States Constitution... and your liberty. We have to press our case to stop Barack Obama from, apparently, illegally holding the Presidency, despite the ongoing threats against us. We will be filing additional lawsuits and administrative actions, over and above those already filed, if you will help us today. I need your help right now in order to win this battle. We need grassroots patriots all across America -- that's YOU -- to contact all 50 State Attorneys General. Helping USJF with this campaign is your best shot, and, possibly your only chance, at finding out whether Barack Obama is legally holding the Presidency of our great nation, or whether he is a fraud -- a usurper! My friend, please take action immediately. 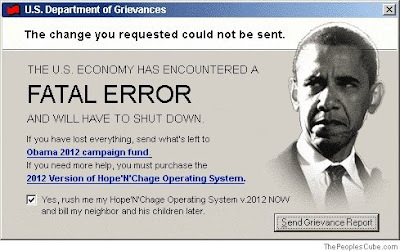 Please FAX all 50 State Attorneys General and please consider making your best possible gift to help USJF stop Barack Obama from continuing his apparent theft of the Presidency! We will not be intimidated. But we MUST have your financial help immediately if USJF is to survive this fight to the finish -- and if the U.S. Constitution is to weather this crisis intact! P.S. This is the biggest political cover-up in American history! 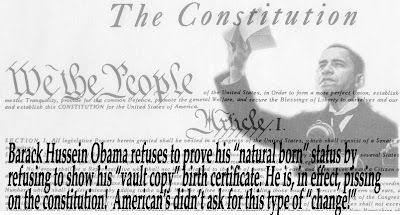 It would be so simple to release the documents to PROVE Obama is a natural-born citizen... IF THEY HAD THE DOCUMENTS! America has never before faced such a threat. Everything we hold dear is at risk with Barack Obama sitting as President without him releasing his actual birth certificate. Please, make your best possible contribution to USJF today. Barack Hussein Obama thinks he can get away with DUPING the American people and DESTROYING the U.S. Constitution. DON'T LET HIM DO IT! The United States Justice Foundation (USJF) is a non-profit organization, whose tax-exempt status under IRS section 501(c)(3) has been recognized by the Internal Revenue Service. Your contributions are tax deductible. Corporate contributions may be accepted. However, Obama lived in Indonesia as a child, from 1967 to 1971, with his mother and stepfather – and not with his grandfather and grandmother, Stanley and Madelyn Dunham, in Hawaii. Despite several statements made by the president about his childhood years in Jakarta, Obama's own White House biography begins with his alleged birth in Hawaii Aug. 4, 1961, and makes no mention of Indonesia. It was not until Obama turned 10 that he moved to Honolulu to live with his grandparents. The White House declined to respond to WND's request for clarification concerning Obama's account of being in Hawaii during the event. 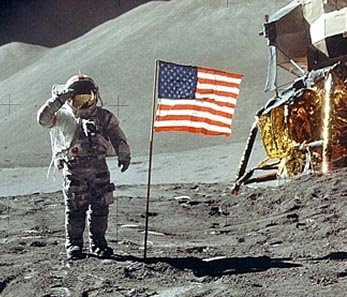 The Apollo 11 splashdown took place 1,440 nautical miles east of Wake Island and 210 nautical miles south of Johnston Atoll on July 24, 1969 – just before Obama's eighth birthday. A Secret Service Agent, responsible for protecting President Obama, was fired today under questionable reasons, according to top aides. The Agent was reportedly tired of overhearing personal gripes by the Obama Family about certain demograhics in the United States. The Agent, who has not been identified as of today, brought his concerns straight to the President Obama, who later had him removed from his current assignment. More to come as story unfolds. Highlights of parts of the Bill and how they would effect you! AND THIS.... By DAVID ESPO WASHINGTON (AP) - A senior administration official says billions of dollars to raise fees for doctors treating Medicare patients are not covered by President Barack Obama's pledge to pay for health care legislation. Budget Director Peter Orszag said Tuesday that's because the administration always assumed the money would be spent to prevent a cut of more than 20 percent in doctor fees. The Congressional Budget Office said last Friday the higher payments cost $245 billion over 10 years. It said including the money in the overall bill would result in deficits totaling $239 billion. On Friday, a few hours earlier, the president declared: "I've said that health-insurance reform cannot add to our deficit over the next decade. And I mean it." We begin with a cipher created by Soros, the Saudis, some Soviet cockroaches in a sealed city. Raised on stories of the glorious Red Army and the Great Plague of American Imperialism. He lusts for the murder of babies in the womb, of babies escaping abortion. His million to Raila Odinga buys gasoline to burn Christians in their churches. Obey or be declared an Enemy of the State. Obey or be committed Soviet-style to mental health asylum. Obey or be euthanized. See -- you have a choice. Most strategists agree there are three obvious targets that will have to be destroyed to damage Iran's nuclear program -- including the uranium conversion facility near Isfahan. War would contaminate entire region. 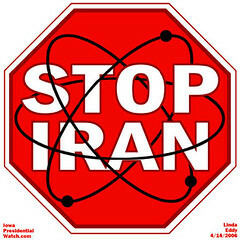 Alan Note: PENNY WISE, DOLLAR FOOLISH mindsets of the Obama Administration, which threw the Iranian student protestors and a possible regime change, under the bus and encouraged the Mullah brutal represssions, invites an Israeli attack on Iran and possibly an American-Isaeli coalition attack when alternative options disappear. In the light of the enormous potential death toll in the article on this page, the alternative of attacking Islamic Iran - and the comparatively "low" death toll of the Iranian populace, including innocent civilians, becomes forcibly "acceptable". Remember the tens of millions being killed in the alternative of not attackinga nd destroying, ALSO includes millions and millions of innocent civilians of the region, not just Iranians. 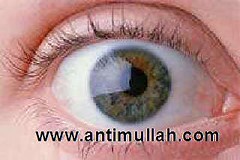 Obama is choosing to prevent and impede, at any cost, an amputation of a gangrenous limb (Islamic Iran) and lose the whole body which then dies. PRAGMATIC,THOUGH CRUEL, REALITY FOR SOLVING ISLAMIC IRAN click here The USA has over 5,000 targets lined up with GPS co-ordinates inside Iran so an instant "disarming by bombing" of the militants. 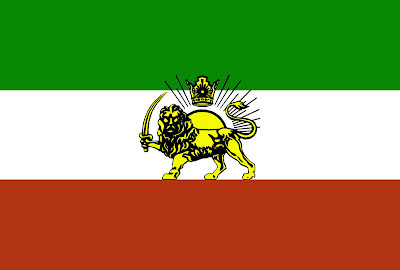 Revolutionary Guards (IRGC), Bassiji, Qods and other paramlitary and suppression enforcement forces, strange as it may sound, could in the aggregate, actually SAVE lives. By Peter Goodspeed It's the nightmare that haunts the modern Middle East --Iran succeeds in its quest for nuclear weapons and goes to war with Israel, causing massive human casualties and destruction on a demonic scale that in turn could trigger a worldwide economic collapse. Now, researchers at Washington's Center for Strategic & International Studies have tried to assess the extent to which civilian targets will be damaged in any Iran-Israel nuclear exchange. The initial fireball accompanying a 100-kiloton nuclear bomb exploding in the heart of Tel Aviv will instantly kill 8,966 people and injure 3,243 more, say Anthony Cordesman and Abdullah Toukan. But within three weeks, that death toll will soar to nearly 800,000 as a plume of radiation spreads across the country. Given its tiny size and 7.2 million population, a single nuclear blast could devastate Israel. It could "wipe Israel off the map in a matter of seconds," Michael Oren, Israel's ambassador to the United States, said recently. The Iranians could "accomplish in a matter of seconds what they denied Hitler did, and kill six million Jews, literally." "Any missile with a nuclear warhead landing in Tel Aviv, Israel, will affect the West Bank, causing a large number of fatalities and injuries to the Palestinian inhabitants, pollute and contaminate the agricultural land and resources that lie in the Jordan Valley and, over the longer term, fallout radiation would reach the outskirts of Amman, Jordan, which is some 108 kilometres from Tel Aviv," the study warns. Retaliatory Israeli nuclear strikes, with higher-yield bombs and accurate rocket delivery systems, would be far more destructive. A single 500-kiloton Israeli nuclear bomb dropped on Tehran would instantly kill 56,771 people and the death toll would soar to 1.47 million, with 5.1 million injured, within a week. A full-fledged Israeli nuclear response, using some, but not all, of its 200 nuclear weapons, would target most major Iranian cities and major military bases. It would kill 16 million to 28 million people within three weeks. Metropolitan Tehran, with a population of 15 million, is "a topographic basin with mountain reflector -- nearly an ideal nuclear killing ground," the study said. With thousands of centrifuges spinning away to produce highly enriched uranium, Iran gets closer to owning nuclear weapons with each day that passes. "I don't see a lot of space between where Iran is headed and the potential of where that development might lead," U. S. military chief Admiral Mike Mullen told a Washington think-tank recently. "My concern is that the clock continues ticking. 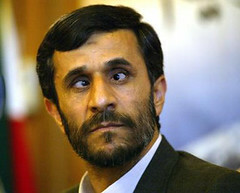 I believe that Iran is very much focused on getting that capability. This is a very narrow space we have." For now, the United States is committed to finding a diplomatic way to dissuade Iran from obtaining nuclear weapons. Israel, on the other hand, is said to be seriously looking at military ways to destroy or substantially degrade Iran's nuclear facilities. "Time is working in Iran's favour, and barring military action, Iran's possession of nuclear weapons is only a matter of time," the Israeli Institute for National Strategic Studies in Tel Aviv said in a report two years ago. 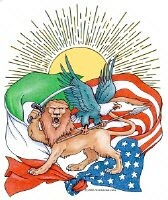 Now, Israeli intelligence agencies predict Iran could have a nuclear weapon later this year or in 2010. The U. S. intelligencecommunity estimates it won't happen before 2013. So what would an Israeli strike against Iran look like, what are the targets and the chances for success? In another study by the Center for Strategic&International Studies this year, Mr. Cordesman and Mr. Toukan concluded, "A military strike by Israel against Iranian facilities is possible...[ but] would be complex and high risk and would lack any assurances that the overall mission will have a high success rate." The main problem facing Israeli military planners is a lack of clear intelligence on Iran's complete nuclear program. Most strategists agree there are three obvious targets that will have to be destroyed to damage Iran's nuclear program -- the uranium enrichment facility in Natanz, where 50,000 centrifuges are being installed, a uranium conversion facility near Isfahan and a heavy-water reactor at Arak. But, if Iran has a parallel secret uranium enrichment program, destroying the three obvious targets will do little to stop it from obtaining a nuclear weapon. As it is, the three prime targets are heavily defended, partially buried underground and protected with a thick sheath of steel-reinforced concrete. That means Israel might have to rely on nuclear-tipped bunker-busting bombs. Any attack force will also have to negotiate a dense air-defence system that includes surface-to-air missiles, anti-aircraft guns and combat planes. It's also possible Iran has already bought and deployed a mobile anti-missile defence system from Russia. An Israeli air strike would have to use 80 to 90 F-15 and F-16 aircraft (almost 20% of its fighters) as well as all nine of its aerial tankers to refuel the fighters. Possible attack routes would see the Israelis fly north over the Mediterranean and refuel from airborne tankers before flying east over Turkey or Syria into Iran. A shorter route would run through Jordan and Iraq and directly into Iran, while a third possibility would be to fly southeast and then east along the Saudi-Iraq border to the Persian Gulf, attacking from the south. Israel is believed to favour the northern route over Turkey. Last summer, it held a major military exercise over Greece and the eastern Mediterranean, with more than 100 F-16 and F-15 fighters and refuelling tankers. About the same time, an Iraqi news agency cited Iraqi Defence Ministry sources as saying Israeli warplanes were flying in Jordanian airspace and landing in Iraq to practise raids on Iranian nuclear sites. The report said the Israeli planes flew at night and landed at U. S. air bases near Haditha in western Iraq and Nasiriyah in the south. 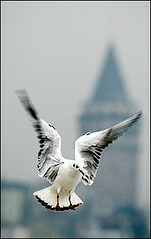 An alternative to conventional air raids could see Israel attack the three key Iranian sites with ballistic missiles. Strategists from the Massachusetts Institute of Technology who studied the possibility of an Israeli attack on Iran two years ago concluded "after years of modernization, Israel now possesses the capability to destroy even well-hardened targets in Iran with some degree of confidence." The operation appears to be "no more risky" than the attack in June 1981 on the Osirak reactor in Iraq, which was destroyed by Israel to prevent Saddam Hussein getting nuclear weapons. A similar attack on Iran "provides at least as much benefit in terms of delaying Iranian development of nuclear weapons," said researchers Whitney Raas and Austin Long.